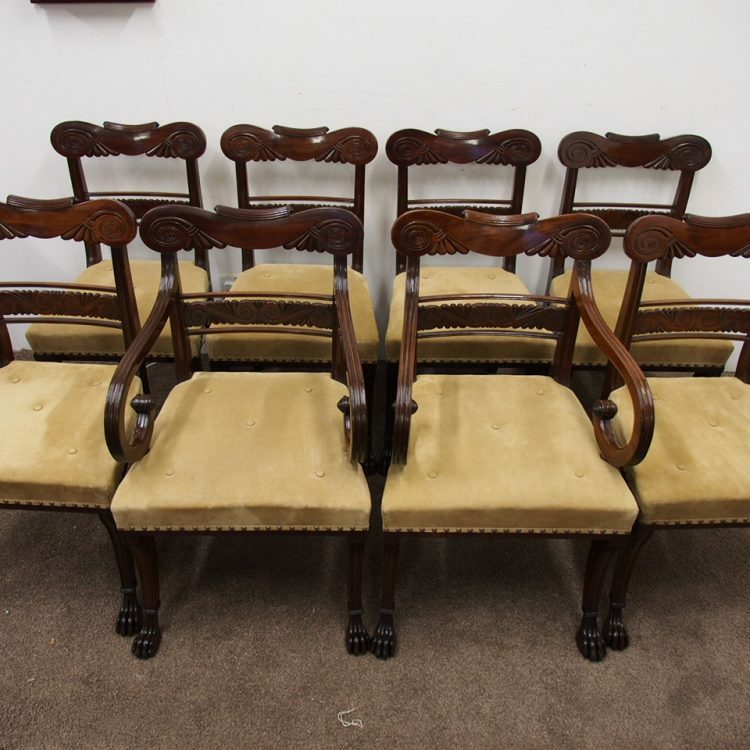 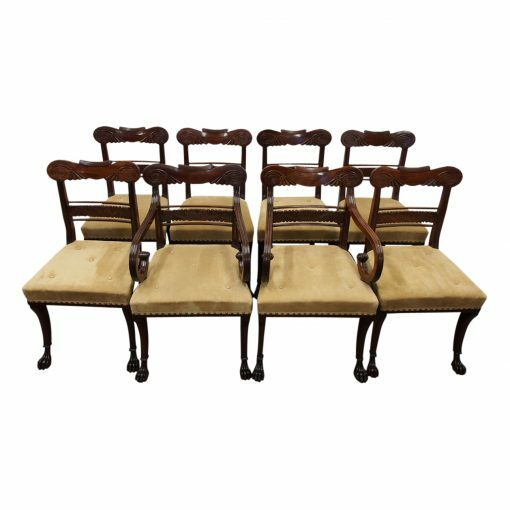 Circa 1820, exhibition quality set of 6 side and 2 armchairs in the style of Morison and Co., Edinburgh. 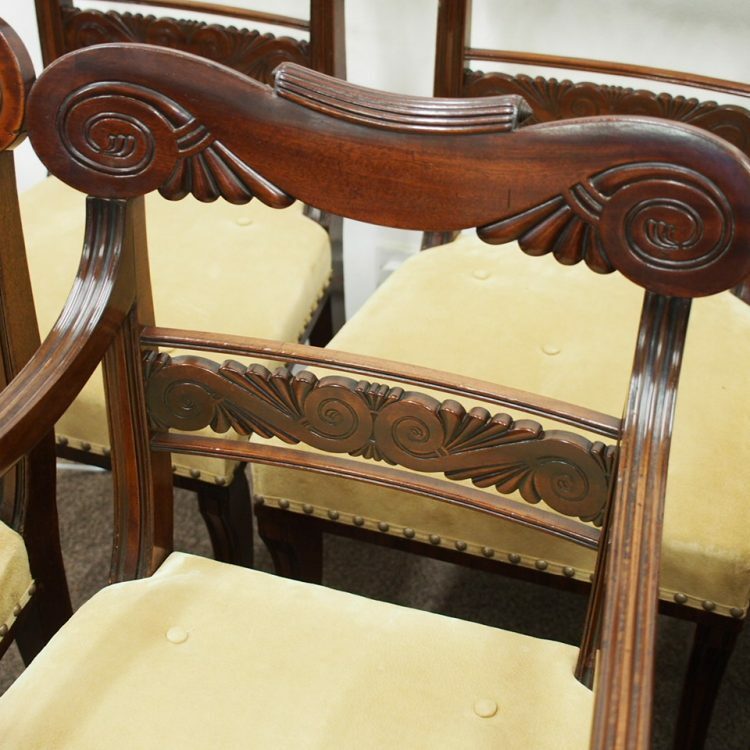 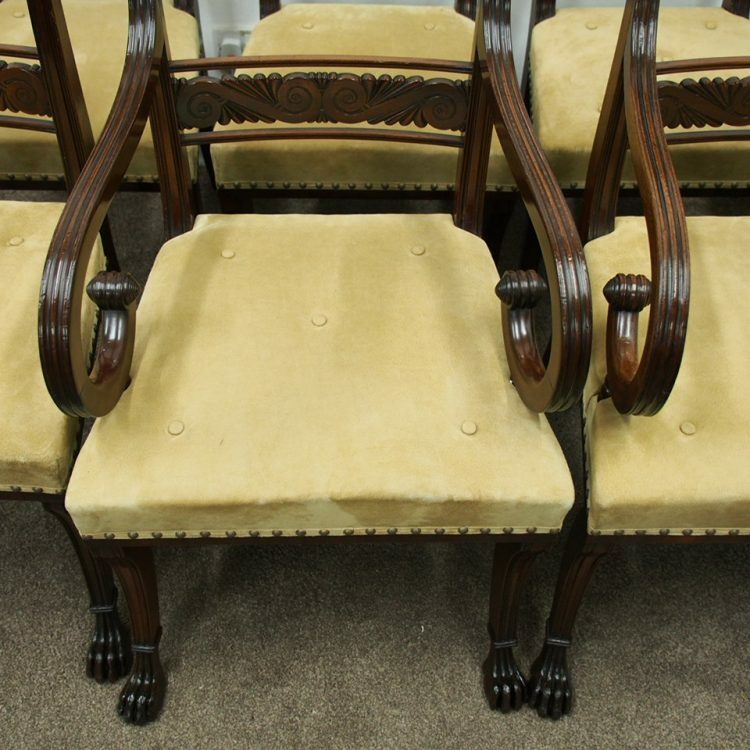 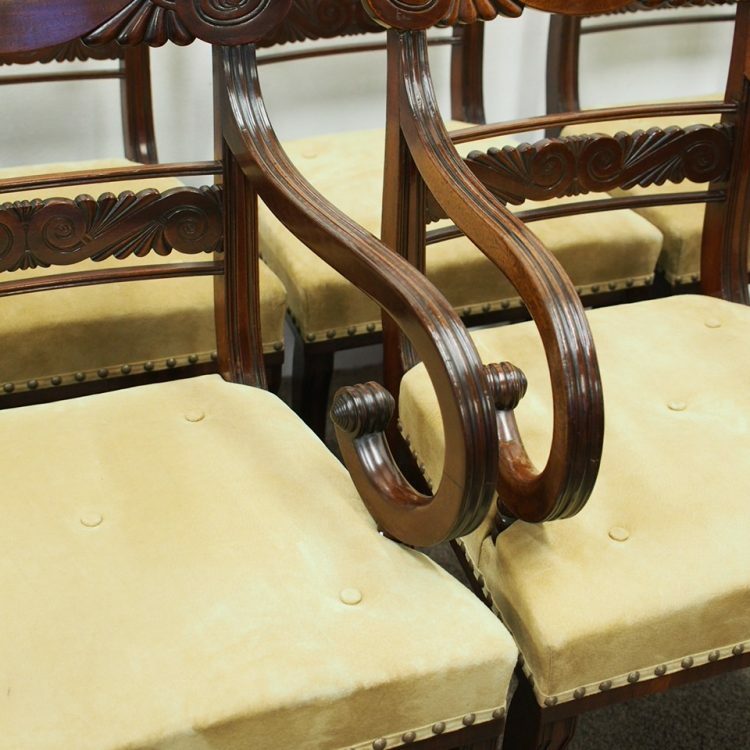 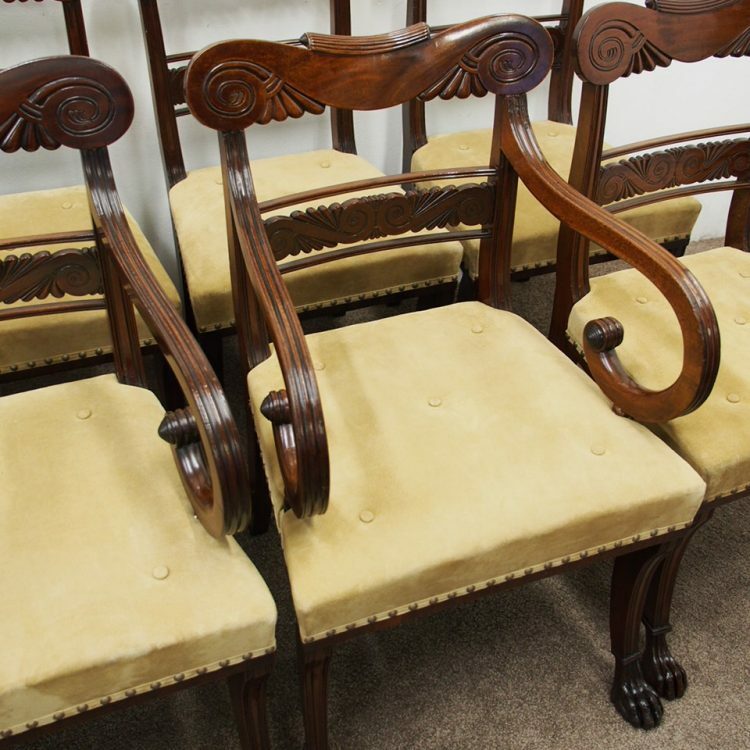 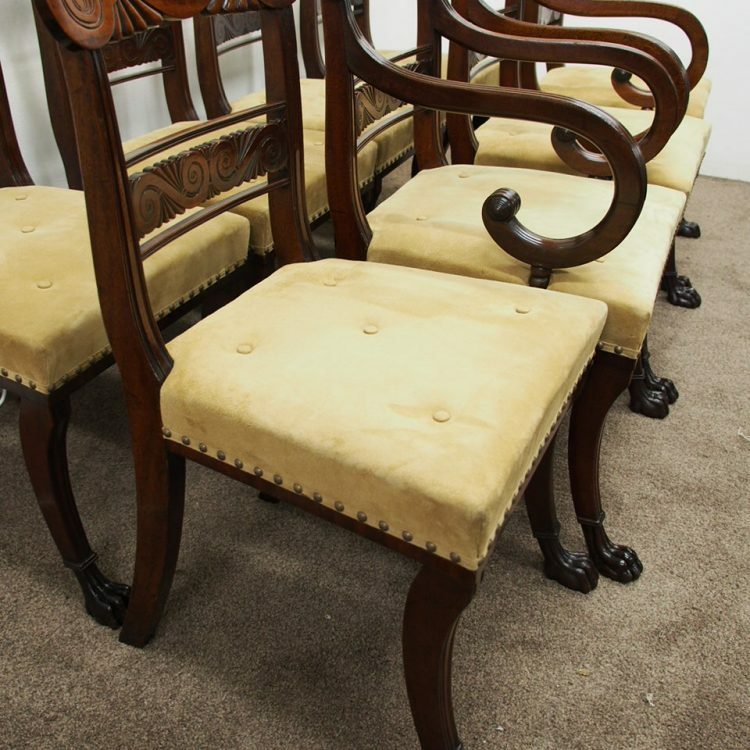 The chairs have a shaped carved top rail, curved shoulders and finish with a spiral carving and c scroll in the centre. 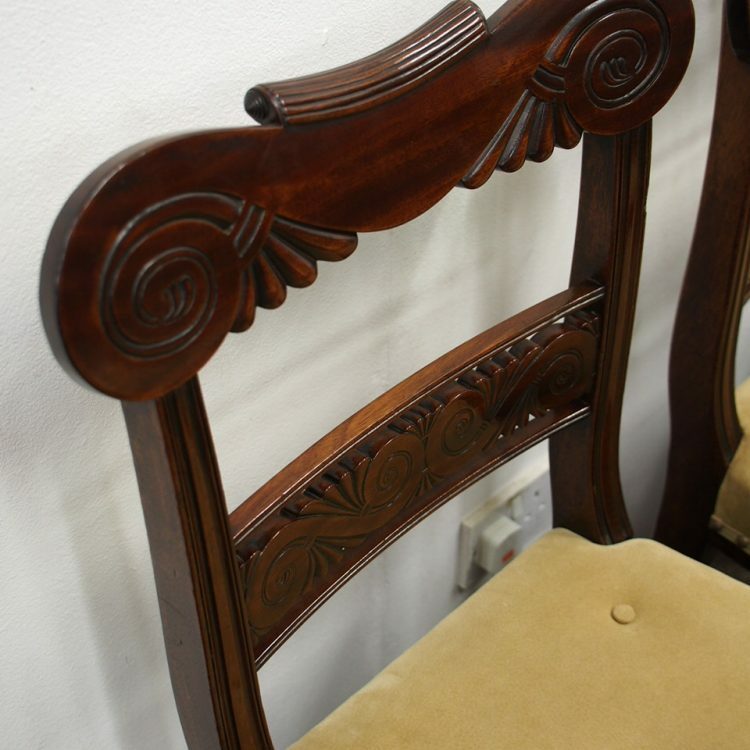 There is two reeded splats at the centre of the back and further carved sections with carving similar to the top rail. 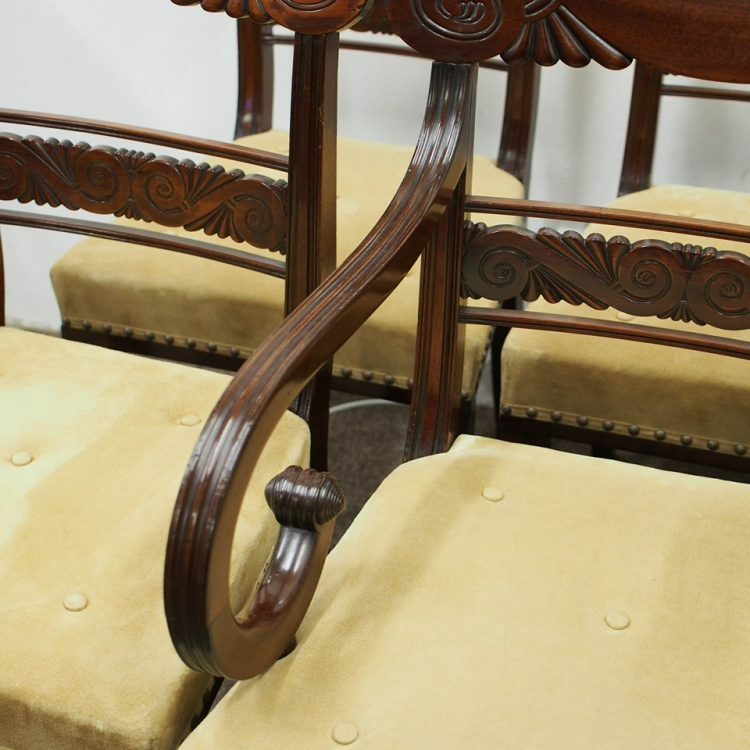 The armchairs have fluted arms which continue down to a curved arm and carved conical beehive buttons. 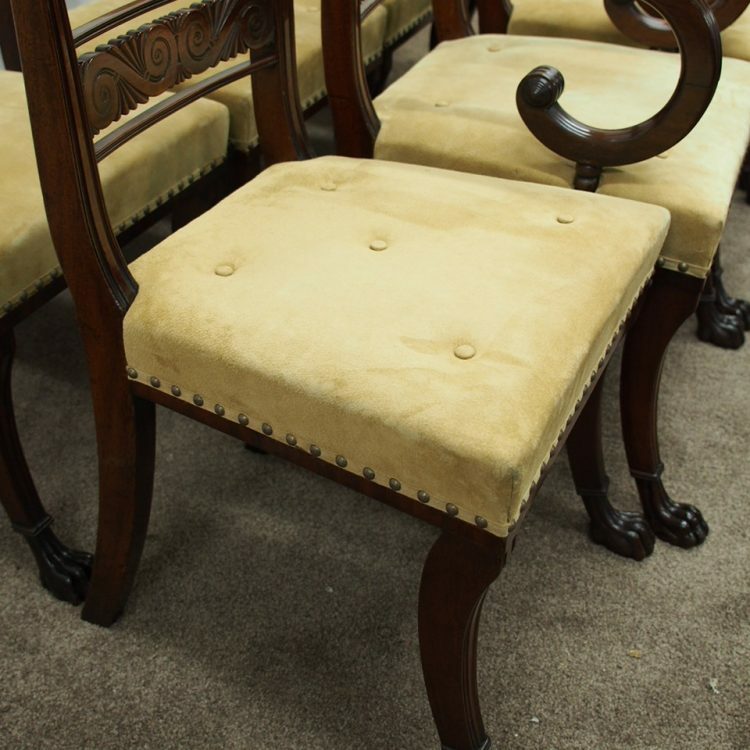 The chairs have stuffover suede seats and brass studding holding the suede in place. 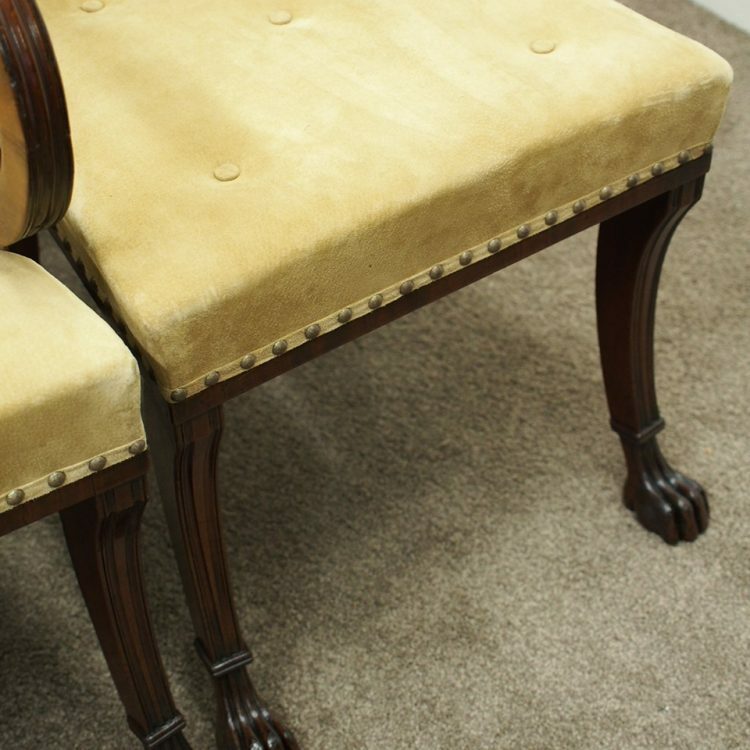 The back legs are square, tapering and outswept. 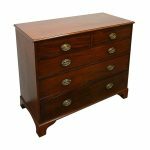 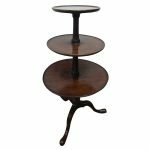 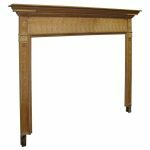 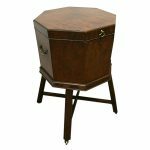 The elegant front legs are reeded with a slight sabre. 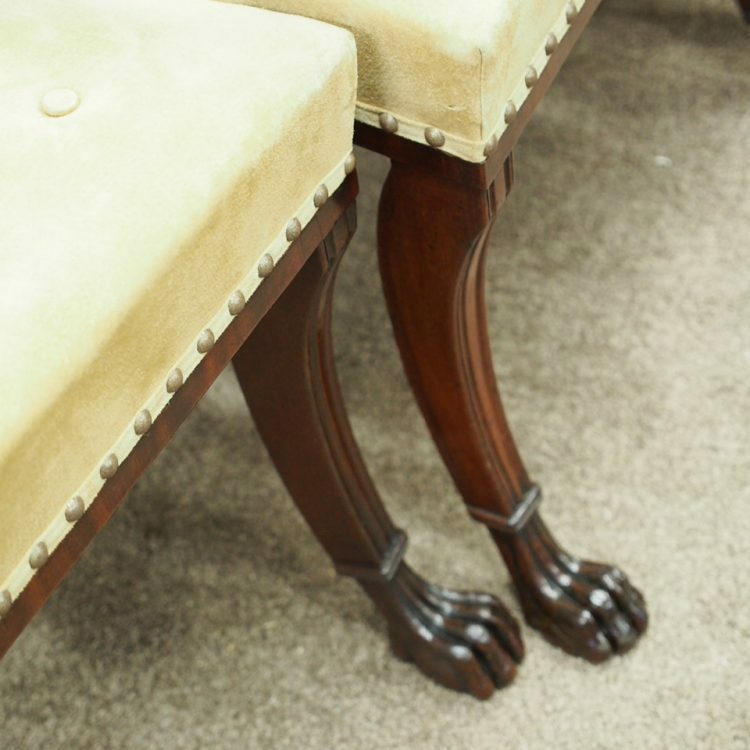 They finish on an elaborate animal foot.